Of course, I made some mother's day cards. A couple went in the mail at the beginning of the week, but I snapped photos of the two that I gave to my mom. Allison (a fellow scrapper in the Beyond Blogging for Scrapbookers class) commented on my last bog post that Alex's artwork could be used as paper for scrapbook layouts. I had not thought of that yet, but I had thought to use his coloring on cards. 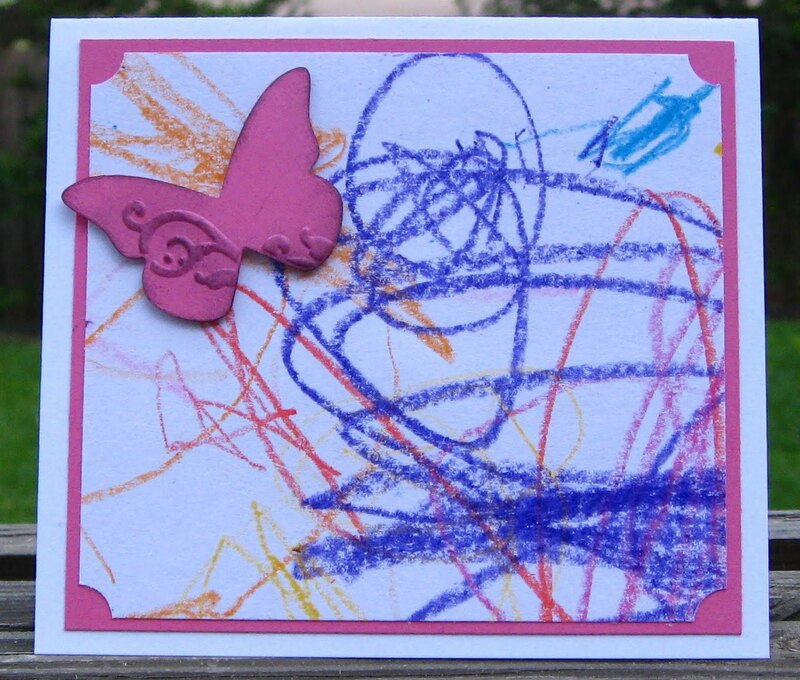 Alex colored on some white card stock, and I added a butterfly from my new embosslit die. The second card was made at stamp club. 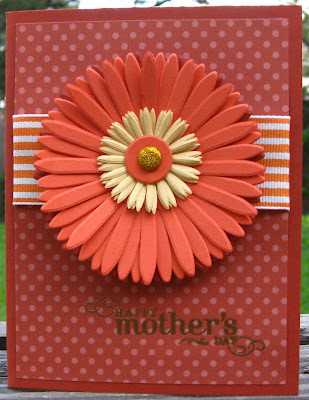 It also uses a Big Shot die and is more intricate than the first card. I like both cards, and decided to give two cards to my mom this year. Most supplies on these cards are from Stampin' Up!. Bet your mum enjoyed the card with Alex's background on it!